The Liaison Blog | L-birds: the story of "Liaison" aircraft and crews | Telling stories of "Liaison" aircraft and those who flew them in war and peace. The Alamo Liaison Squadron in San Antonio, TX has hosted an annual “L-birds” fly-in known as the “Bluebonnet Picnic” for a number of years. 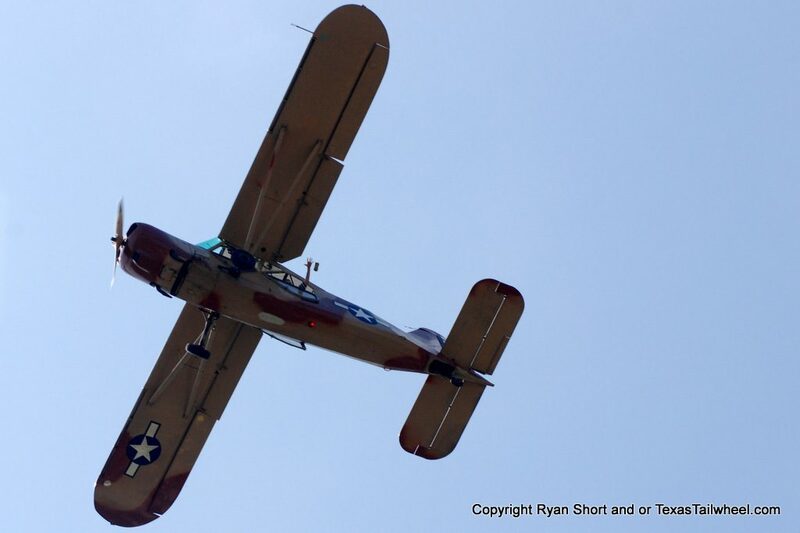 It is a fun, family-friendly event showcasing their aircraft and raising funds to maintain them. I have not gotten details on this year’s event, but previous years have often featured flour-bombing and spot landing contests. 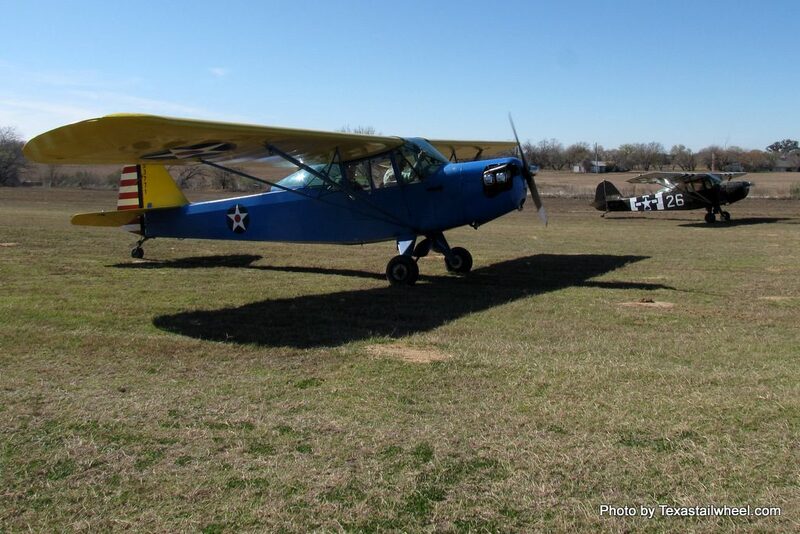 This year’s fly-in is scheduled for May 4, 2019 at Cannon Field – 53T and according to sacurrent.com there will be a lunch served. 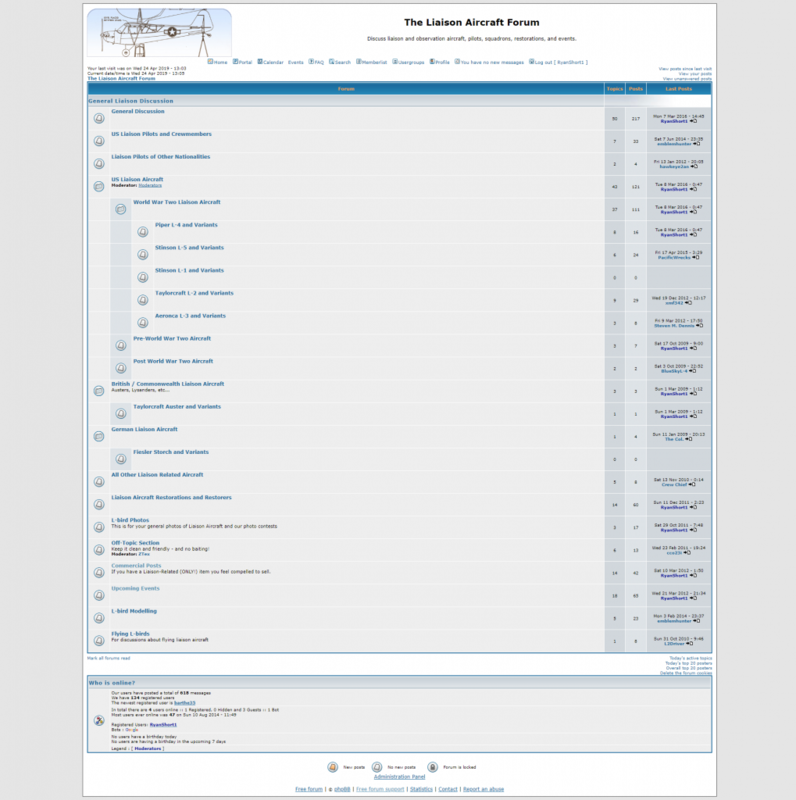 To have your liaison aircraft related event showcased on our website, please contact us! And a few pictures from past Bluebonnet Picnics that I was able to attend. This is the first of what we hope will be a long series collecting stories of currently flying L-birds. 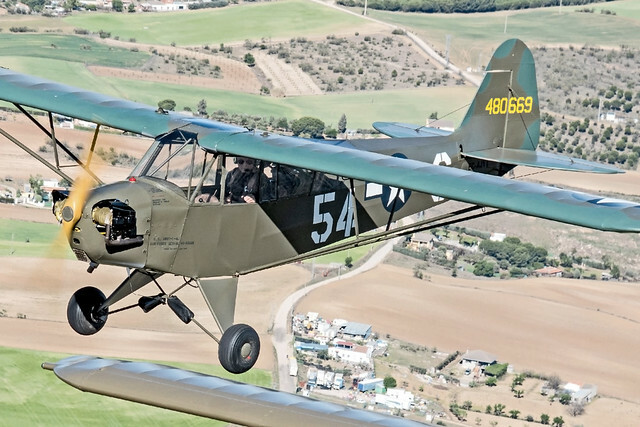 Today’s spotlight aircraft is a Piper L-4 being flown in Spain. We found out about it via this stunning image shot by José Luis Celada Euba on Flickr. According to their website and the photographer the plane is owned by CoppelWings and based at Cuatro Vientos (Madrid, Spain) LECU. It flies regularly with Infante de Orleans Foundation (FIO) and participates in the exhibitions organized by the Foundation, as well as other commemorative celebrations of the Second World War. It apparently operates out of the Aerodrome of Sigüenza at times as well. According to their research, the aircraft was manufactured in October 1944 in Lockhaven, PA (USA) with the serial number 12965. It was assigned to the 9th Army of General Patton, in the 5th Armored Division, 71 Field Armored Artillery Battalion of the US Army. This aircraft is the only known survivor known from the battalion and is a sister-ship to the original L-4H “Miss Me! ?”, a fairly well-known aircraft that starred in the last and most bizarre combat of the Second World War on the European front, when on April 11, 1945, while on an observation flight, a Fieseler “Storch” was encountered. Pilot Merritt Duane Francies and his observer unloaded a Colt pistol at the German plane, which subsequently made a forced landing after which the Cub crew landed and administered first aid to their enemies. For more information, please visit the Coppel Wings website below! 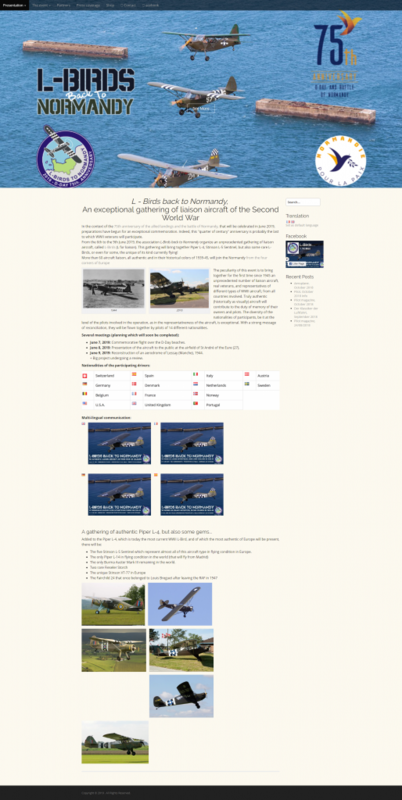 If you would like to have your L-bird featured on this website we’d love to hear from you!